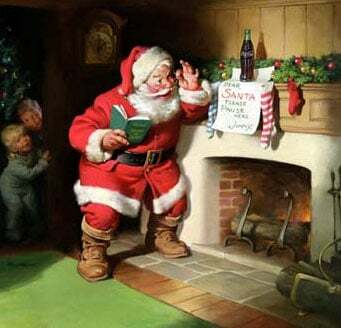 Jean Kazez: Santa Reads My Blog! Merry Christmas. Why do people talk about becoming a vegan? Because they are searching for an identity. Most people like to put a label, a positive label, a good-guy label, a label which gives them a certain sense of superiority to those without that label, on themselves. I don't know why people must be a vegan all or nothing.... When I tell my students that I'm a vegetarian, inevitably they start asking me things like, do you eat marshmellows, or gel-capped medicines and such, and they righteously point out I'm being inconsistent. I tell them its like any other diet that a person is on... sometimes you falter a little, but you get right back on that horse and keep riding. That doesn't make you any less a vegetarian, as a curious college co-ed is a lesbian or bisexual because of one encounter. Yes, it seems we think of not eating animals as sooooo unusual that it creates an identity. Thus, you are a vegan (or vegetarian) or you're not...like either you're a Christian or you're not. It's not just a matter of doing as much as you can, like you'd try to be more green or give more to charities. Once upon a time this whole way of thinking about vegetarianism may have been harmless, but now we've got a problem of such gigantic proportions (an animal welfare problem as well as an environmental problem) that you really need tons of people to be involved, and the all or nothing way of thinking about our diets seems very counterproductive. Yeah--vegetarians get a lot of that "gotcha" reaction. Not good! Do you eat marshmallows...? Sigh. no I don't eat marshmallows. But I do take pills that have gel coatings on them... which might as well be the same as eating a marshmallow. Well... maybe less tasty. I take two pills every morning: one contains 19 ingredients, all with funny names, besides the main one; the other contains 11 ingredients besides the main one. Even if I were to discover that one of them contains animal ingredients, I doubt that there are alternatives with non-animal ingredients on the market. Some movements attract people who basically want to do good or are looking for a purpose in life. Other movements attract people who are searching for an identity, who feel uncomfortable saying "I am me" and need to say "I am a vegan or an atheist, etc." In any case, being a vegan means belonging to an exclusive club and it's a lot cheaper than the country club. Groucho Marx said that he wouldn't join any club that would accept him as a member. That's my philosophy of life too, but obviously not that of our vegan friends. Being a vegetarian is an attempt to have a certain beneficial impact plus put yourself in a certain state of mind. Worrying about trace amounts of animal products has negligible value as far as impact is concerned and doesn't do much for state of mind either. At least that's how I see it.